Cebu Food Blogger: After a very long drive from Mactan, we headed back to the city for a flirtatious pre-dinner treat at District on 53rd with their best of the best dishes they have out of their 53 menus. 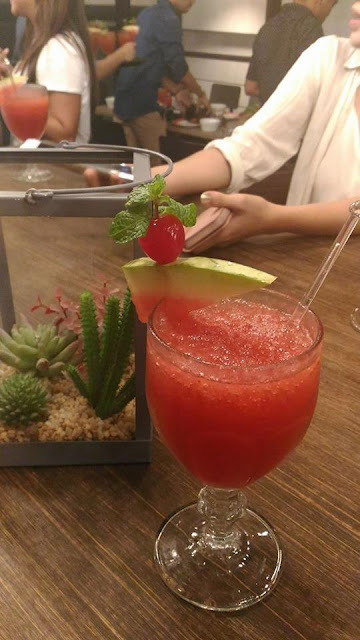 It's actually made of rum as its main alcohol ingredient and watermelons. 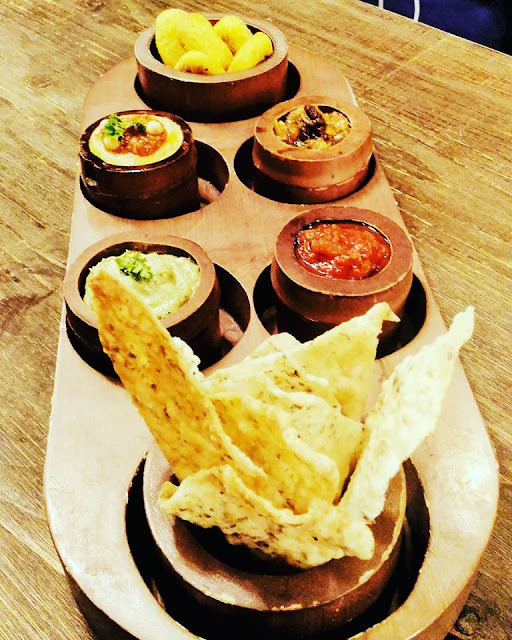 And as an appetizer, we have this District Sungka composed of homemade chips, turmeric bread with four kinds of dip. I have to warn you, this is not part of their menu. So you may not be able to order this. 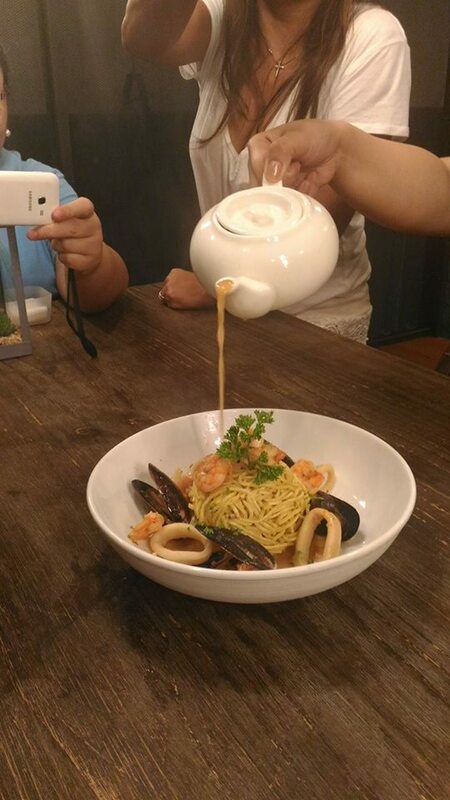 They also served this Crispy Noodles with Seafood. To add a soft side to our palate, curry soup is poured on it. 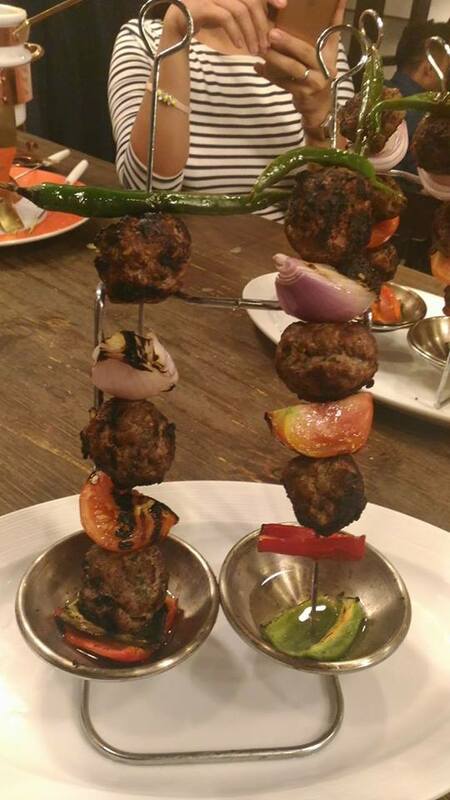 Part of the 53 menus they have is this Pistachio Lamb Shish Kebab! And I'm a sucker of kebabs. Fondues reminded me of sweet dirty childhood memories during parties. And we they graciously served us Porcini Fondue with focaccia bread. 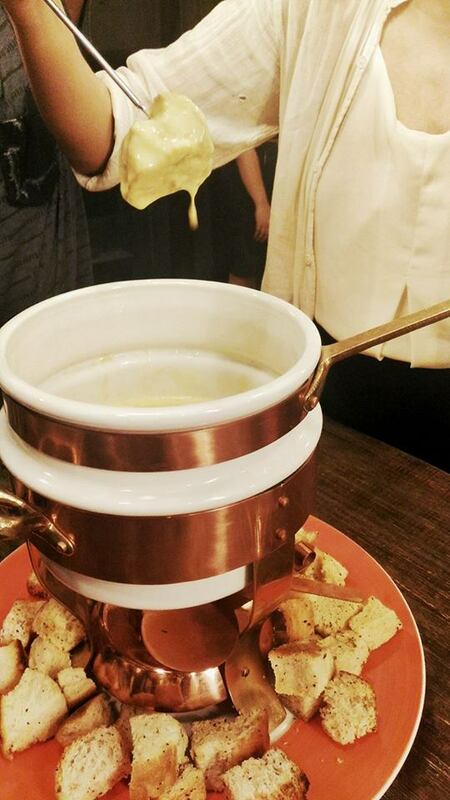 The fondue is a mix of porcini mushrooms, cheese and ham. 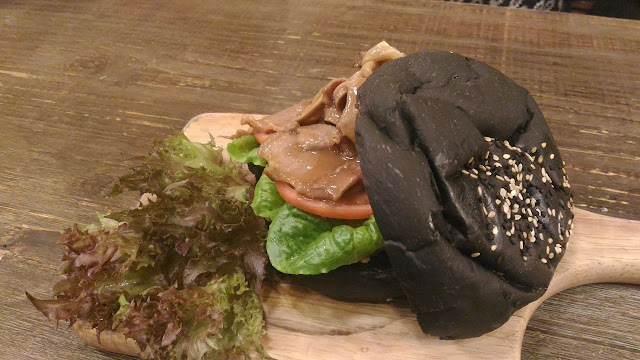 At first glance, I'm thinking twice to take a first bite on this Black Bun. A charcoal bread with slow cooked ox tongue, chickpea salad and Romaine lettuce. Tasted like no other burger in town!